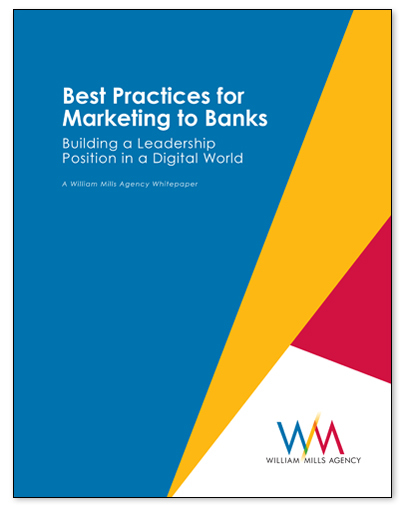 Marketing to financial institutions is more complicated than ever. Today’s landscape consists of large financial institutions, regional and community banks and credit unions. There are different tactics for selling to banks of different sizes, but there are also common best practices. In this white paper you will find the seven best practices for reaching your target audience in today's digital world. The financial services' market requires a strategy for creating a leadership position if you are to be successful.